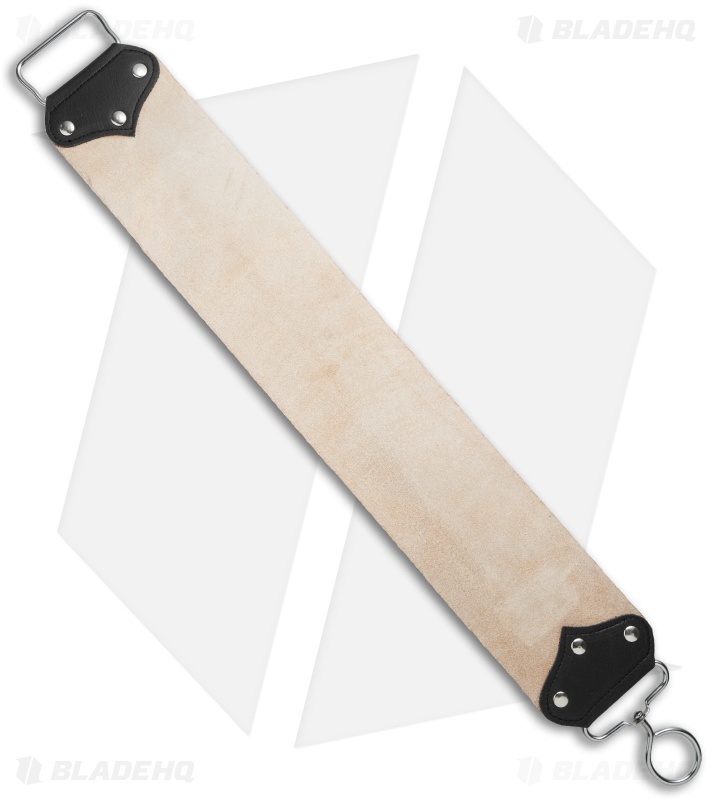 This high quality razor strop from Garos Goods features a 3" wide embossed cow hide leather strop with a suede back side. 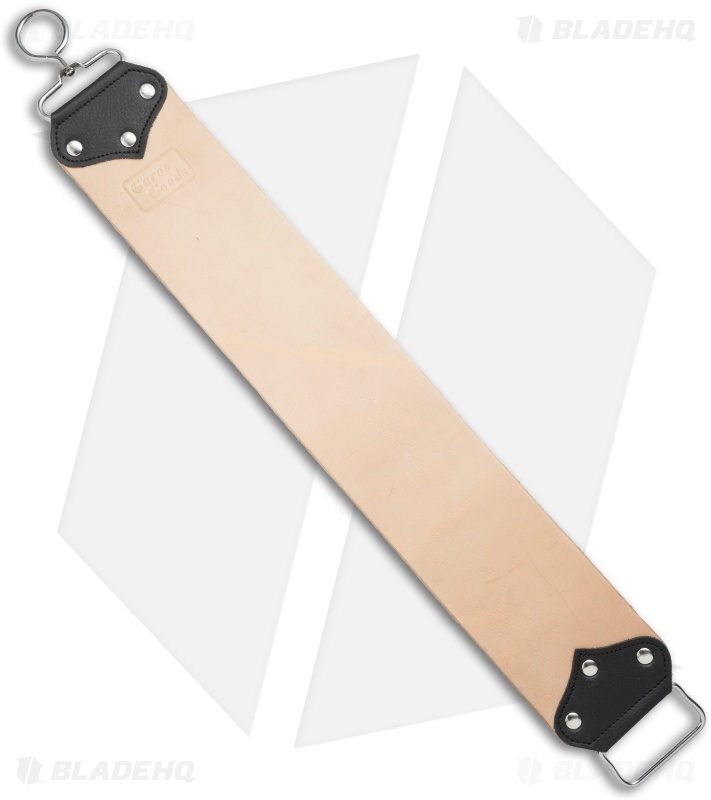 The workable stropping area measures 14.75" x 3.0", with an overall length of 21.75". Strop comes equipped with a stainless steel finger bar handle and a hanging ring for storage. Quickly restore all your razor edges with the fine stropping products from Garos Goods.